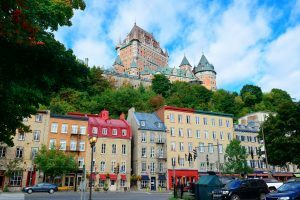 Canada and New England cruises appeal equally to those who want an active outdoor adventure and individuals that would prefer a more sedate vacation in which sightseeing from the ship and dining on fine foods is the focal point. But, that’s exactly what you’ll discover when sailing Canada and New England. This region along the Atlantic Ocean is home to the colonial history of North America—though many of those historic sites are now national parks. It’s a perfect local for whale watching in the summer and leaf peeping onshore in the fall. You’ll visit Boston and New York, Montreal and Quebec City, and more intimate ports like Bar Harbor in Maine and Saint John, New Brunswick in Canada. 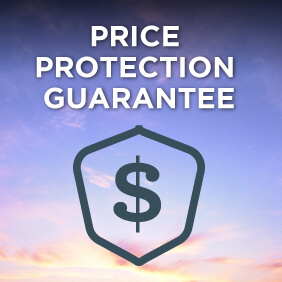 View cruises from Boston, cruises from Montreal, cruises from Quebec City or cruises from New York. Most people think all Canada and New England cruises happen in the autumn but that’s not true. The sailing season actually begins in the spring when warmer breezes are just starting to kiss the shoreline after the cold winter. 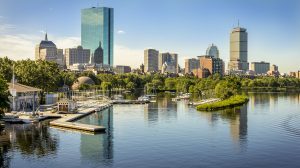 Summertime in Canada and New England is accompanied by spectacular blue skies and gorgeous weather, which make it ideal for waterfront activities or simply stopping to sample a delicious lobster roll at a restaurant ashore. Families tend to cruise during the summer while couples and solo travellers generally stick to the spring or fall. September and October has the greatest number of itinerary options, and brings a cornucopia of colours as the leaves change from green to orange to brilliant gold and ruby red. The peak time for leaf peeping is late September to mid-October. Seafood shacks are still open until the end of the fall season so you can also try those fried clams or a heaping platter of steamed mussels. 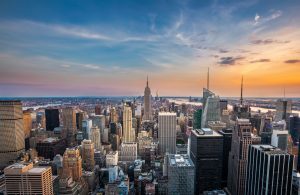 No matter when you travel, you’ll call upon some of the most beautiful cities and small villages in the region, and they are all rich in history starting with the Native American tribes and then the settlement of the area by the French, Dutch, and British. Despite the Canada and New England cruise season only spanning half the year, there is a surprising number of cruise lines offering itineraries in the region. 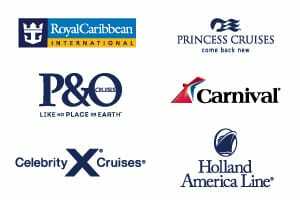 Mainstream cruise lines like Holland America, Royal Caribbean Cruises, Norwegian cruises, and Princess cruises offer voyages from 4-nights, to 7-nights, to 14-nights. These cruise lines appeal to older travellers, families travelling with children (who want access to kids clubs), multigenerational groups who need a ship that appeals to all ages, and travellers who hunger for that “big ship” experience complete with multiple dining venues, a casino, and onboard entertainment. Some people think Canada and New England cruises are exclusively for old fogies that just want to sit on deck and watch as the coast rolls by. If that’s what you think, you could be missing out on one of the cruise industry’s best-kept secrets. The fact is, there are three distinct types of cruises in the region: small ship/adventure expeditions, mass-market lines that have something for everyone, and luxury lines that take a decidedly more upscale approach. There are also four primary departure ports: view cruises from Boston, cruises from Montreal, cruises from Quebec City or cruises from New York. Holland America has both short and long itineraries within Canada and New England allowing you to complete an in-depth exploration of the region or just a taste to whet your appetite. 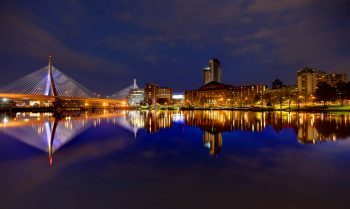 Their shorter, 7-night itineraries tend to cruise from Boston to Montreal (or vice versa), while they have longer itineraries departing from New York, Boston or Montreal. Explore Canada and New England with Royal Caribbean. Their cruises can range from shorter 5 to 7 night itineraries to longer 9 nights cruises with sailings depart primarily from the US Coastal cities of Cape Liberty, Baltimore or Boston, or from Quebec City in Canada. Celebrity Cruises Canada and New England itineraries tend to be longer, up to 14 night cruises that sail round trip from Cape Liberty in New Jersey. Cunard’s voyages to Canada and New England allow you combine premium cruising aboard a gorgeous ocean liner with an in-depth cultural exploration. Most of their sailings are 14 nights or longer (though they do have a few 7 night itineraries) and, as many start or end in either Southampton or Hamburg, you can combine the iconic Cunard Transatlantic experience with your Canada and New England adventure. 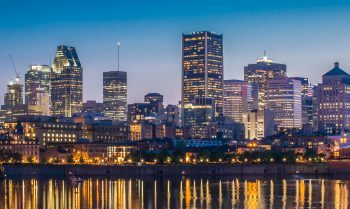 There are a variety of Canada and New England itineraries to choose from but the most common is Montreal or Quebec City to Boston or New York City (or the reverse route). Other options include round trip routes out of Boston (Massachusetts), Bayonne (New Jersey), Baltimore (Maryland), New York, and Montreal. 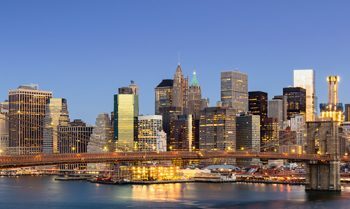 Since you’ll need to book a long-haul flight to get to your embarkation city so it’s probably easiest to get to New York City or Boston. Bank on 20 plus hours in flight from Sydney to New York. There are plenty of interesting ports to explore when visiting Canada and America’s New England states. You can take it easy and stroll along the waterfront and quaint villages or get more active with hikes, bike rides, and even white-water rafting. There’s plenty of time for whale watching and there’s no better place to tuck into a platter of fresh seafood than in these pretty little fishing villages. 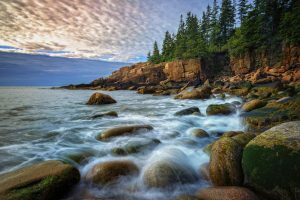 Acadia National Park is the focal point of Bar Harbor and while it’s not all that big—just 41,000 acres—it draws more than 2 million visitors annually. It’s a place where you can take in mountain vistas by the sea. For those who are a bit outdoorsy, they’ll enjoy hiking and biking trails and the chance to visit a waterspout. This port equally appeals to those who aren’t interesting in getting in touch with nature. Instead they head downtown to watch lobstermen on the job, check out the museum, or decide which lobster bake to partake in at lunchtime. 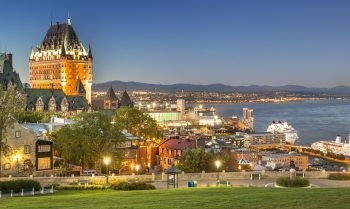 This charming city situated on the St. Lawrence River will remind you of old-world France. Its streets are packed with sidewalk cafes, artisanal shops, and friendly locals. With a history spanning several cultures—Native Americans, the French, and the British—it’s no wonder the city is steeped in so many rich traditions. The fall foliage is remarkable here. Most visitors to Quebec City start with a tour of Place Royale, the 400-year-old plaza where Samuel de Champlain planted his flag when he arrived in the early 1600s, at Old Town. There’s a lot to see in Old Town but try not to miss Ile d’Orleans, about a half-hour from port. It’s an island that’s been frozen in time. It’s a place to enjoy wine tastings at local vineyards and buy local berries and apples from street vendors. And, of course, if you love French food there’s plenty of that to be had in this town. You’ll be hard pressed to find a more picturesque Canadian harbor than Halifax. 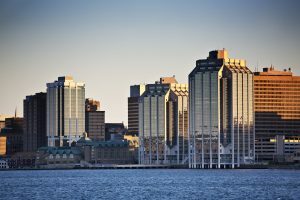 The city is the capital of Nova Scotia and has a storied maritime history. Three ships set out from Halifax as part of the Titanic recovery mission in April 1912. Many victims of that disaster are buried in cemeteries this city. Today, the waterfront is home to myriad shopping centers, boutiques, and restaurants so it’s fun to just take a stroll and let the city unfold before you. Alternatively, head to the Halifax Seaport Farmers’ Market that’s been delighting visitors for 50 years with local food, arts and crafts, wines, and logo merchandise. If you’re not in the mood to shop, the Halifax Public Gardens are the place to go if you appreciate manicured gardens and fountains…great for photo ops. Day-trips to the Bay of Fundy, Peggy’s Cove, and Lunenburg can be taken from here. Saint John is the type of destination that draws a big crowd of leaf peepers each fall. Everyone wants to see the trees showcase their gold, brilliant yellow, and bright red leaves. It is a breathtaking sight. This city, now the second largest in the Maritime provinces, was once a major player in shipbuilding business at a time when ships were still crafted from wood. Locals are still proud of that heritage and Saint John. One of the main attractions in the area is a natural wonder: Reversing Rapids. It’s where the world’s highest tides in the Bay of Fundy meet the mouth of the Saint John River. The sheer force of the waters colliding actually reverses the tide’s flow twice a day. It’s something to see and you can do so from Fallsview Park or via an excursion by boat. If a Canada and New England cruise isn’t what your after, or if you’re wanting to Super-Size your grand US adventure, why not have a look at dipping your toes in azure blue seas with Caribbean Cruises, sighting grizzlies and glaciers on Alaska Cruises or immerse yourself in a tropical Paradise with Hawaii Cruises.